Must have reached at least eighteen (18) years of age as of the date of the written test and not have reached thirty-six (36) years of age as of the date of appointment. Must possess a valid state issued driver’s license and, on date of hire or within three (3) months of date of hire, must have obtained a Commercial Texas Driver’s License, either a Class A or Class B, for the type of vehicle or equipment operated. If applicable, you must submit a Form DD-214-4 (long form) to verify an honorable or general discharge under honorable conditions from the military. For non-certified applicants, you must receive a minimum passing grade of seventy percent (70%) on the Civil Service written examination for an entry level firefighter. Applicants must satisfactorily complete the physical agility course set out by the department in one (1) attempt. Must pass a comprehensive background investigation and not have any of the listed disqualification established by the department. Ability to meet current requirements set forth by the National Fire Protection Association and the Texas Commission on Fire Protection (TCFP) to obtain certification as a Firefighter. 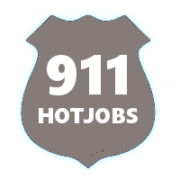 Ability to obtain appropriate state Emergency Medical Technician (EMT) certification within twelve (12) months of the date of hire and maintain certification(s) through continuing education throughout employment with the City. The Commission on Fire Protection Personnel Standards and Education may not certify an applicant as eligible for a beginning position with the fire department unless the applicant meets all legal requirements necessary to become eligible for future certification.